The areas of youth in agriculture and private sector engagement were highlighted in CGIAR’s new Strategy and Results Framework (SRF) as topics that require further development and coordination. However, the Consortium Board decided not to call for expressions of interest for Youth or Private sector platforms as part of the CRP 2nd call for Pre-Proposals, but instead to organize workshops to work out in more detail how best to approach ‘mobilizing youth in agriculture’ and ‘scaling up Public Private Partnerships’ in the new CRPII portfolio. We are happy therefore to announce workshops on each of these topics will take place in September 2015, bringing together experts to identify the most effective way to achieve impact through youth in agriculture and private sector engagement in line with the SRF targets. They are being organized by CGIAR Centers experienced in these areas along with key partners, and supported by the Strategic Partnerships team of the Consortium Office. For ‘youth in agriculture’ IITA has developed a number of interesting activities, including its Youth Agri-Preneur Program, so IITA in partnership with the African Development Bank and the CGIAR Consortium will lead this activity, which will have a first meeting 8-9th September 2015 in Montpellier and a planned follow-up meeting in April 2016 at the African Development Bank. See more details below. For ‘private sector’ the Netherlands Ministries of Foreign and Economic Affairs kindly offered to convene a meeting on 21st September 2015 in the Hague. The World Agroforestry Center (ICRAF), which has a wide variety of private sector initiatives, will co-organize the meeting with the Netherlands and the Consortium. See the more details below. Why a focus on youth and private sector engagement? The rising demand for food (including more nutritious and varied foods), feed, fiber and fuel by a growing and more prosperous global population brings the opportunity to undertake research to support the optimal configuration of agribusiness value chains that deliver greater value and opportunities for young people. There is also the critical importance of forging dynamic partnerships at each stage of the R&D or policymaking process, including stronger links with business partners to reflect the increasing role of private sector research and innovation in global agriculture. Working in partnership with the private sector can unlock new investment, technology and “know how” to accelerate the translation of science along the R&D pipeline for delivery and impact at scale. New opportunities exist for co-investment and the establishment of Public-Private Partnerships, but more importantly the formation of new networks that can stimulate innovation to tackle global challenges more urgently. To maximize CGIAR’s contributions in these areas, we recognize the importance of coming together to identify the most effective way to achieve impact in line with the SRF targets. It was decided that workshops on youth and private sector engagement would be convened in the third quarter of 2015 to identify the opportunities and approaches, and to support the integration these essential thematic areas into the full proposal phase. Why: With growing numbers of disenfranchised youth around the world and a strong focus on finding opportunities for their engagement and employment, CGIAR is committed to finding ways to approach the topic and planning appropriate activities, especially through its second generation of research programs. What: This workshop intends to define the key issues to be addressed and to explore and identify good approaches to promoting youth engagement, employment and enterprise that can be integrated into the work of CGIAR. Through learning from internal and external experiences and ideas, the workshop will define realistic outcomes, priorities and activities as well as identifying necessary partnerships. 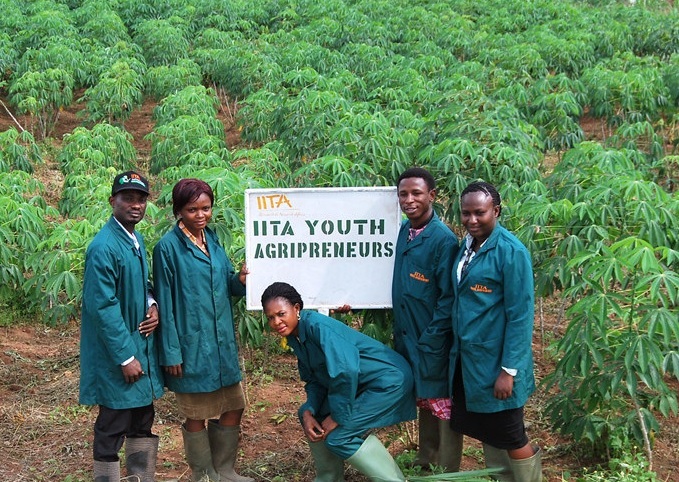 Who: IITA, AFDB and the CGIAR Consortium are hosting the meeting and will be bringing together organizations and individuals with expertise and experience in working with youth engagement, enterprise and employment, particularly (but not exclusively) in agriculture. We look forward to supporting these important workshops.